I was arrogant and thought it would never happen to me. Then one day I found myself making cups of tea, zapping through TV channels, surfing the web aimlessly, cleaning the cupboards… anything but the computer keyboard. Writing filled me with FEAR. How could I have been in love with my job, and then not want to do it at all? After some soul searching, I was frightened to find that I’d come this close to murdering my creativity. I’d focused too much on making money, pleasing readers and worrying about things way out of my field of expertise. I was exhausted. I chatted to a few trusted friends to find a solution. At first I only looked at the financial impact. Because I depend on writing for income, the fear of writing was threatening my material well-being. But its a vicious cycle: the mental angst of blocked creativity is terrible and if not treated, it can be debilitating, leaving your bank account even worse off. After reading various articles about writer’s block, I realised that the reasons behind why you’re not writing are very personal. There’s no magic cure-all formula. My husband told me that I needed to take time off. He was right. (And he’ll be happy to read that sentence.) If I’m not writing, I’m thinking about writing. The most worrying thing was that even considering taking time out was very hard. If I don’t blog for two weeks, they’ll think I’ve GONE AWAY. Too tired to argue, I did take time off. I left the iMac untouched, the smartphone and the notepad behind, and headed to the park with my son, watched daytime telly and forgot about blogging, SEO, comments, guest posting, social signals and all the other things I’d been worrying about compulsively. Creativity needs room to breath and writers need to observe the world in order to write about it. Exhaustion is bad news and the only remedy is rest. Making myself close my eyes for 15 sacred minutes every morning before starting work allows my brain to return to baseline status. That in turn helps me think more creatively. Meditation before work is also a great discipline. As someone who works home alone, I need heaps of self-motivation. Sitting still for a set time, and not reaching for the computer keyboard straightaway, mostly makes me eager to work. Writing about the things you love is fine, but even experts can go deeper and into more detail. 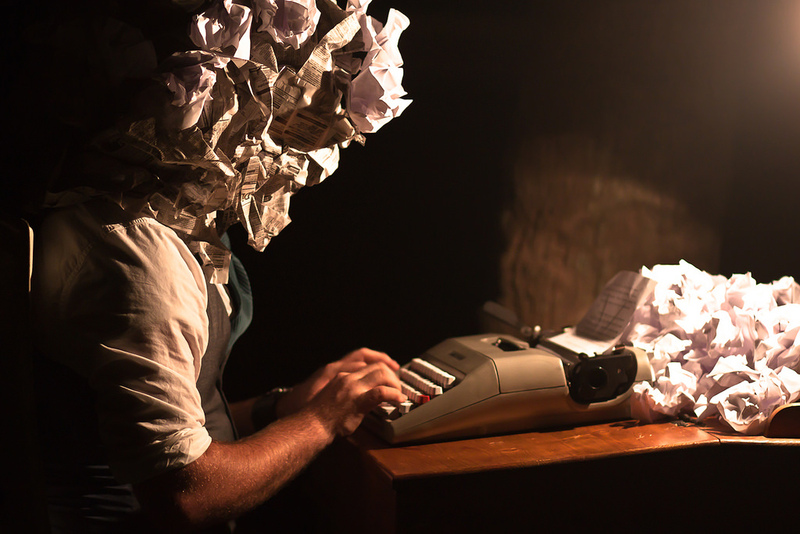 Just because I like writing about my job, doesn’t make me an expert on writer’s block. Reading up about fascinating stuff that pertains to my subject helps me to write in a way that is more useful to my reader. In a Psychology Today article, May 29, 2012, psychologist Barry Michels says that writer’s block provides two main obstacles for authors: the first is getting into the chair, the second is staying in it. To move “through” writer’s block, Michels says, you have to work out what the pain you are trying to avoid is. It could be fear of creating something, or simply reluctance, which Michels compares to the aversion people feel towards going to the dentist. To overcome the pain you have to accept it and want it. I recommend reading Barry Michel’s article, The Tools, about breaking through our personal pain barriers. I’ve finally come to realise that I can’t produce classic blog posts every day. The brilliant stuff only comes out every once in a while. This was difficult for me to accept. Generally speaking I think that authors who write alone and edit their own work, yet depend on others’ opinions in the form of comments, shares, likes or tweets, tend to get overly worried about what others think – myself included. If I am writing for a client, I have to worry about what they think. But if I’m just writing to express myself, then I believe that only my own feelings about my writing are valid. It’s nice if someone likes my stuff, but equally it’s not important if they don’t. It’s imperative for me to have my own personal criteria and stick by them, as well as accept my own work as it is – good, mediocre or crap. I’m currently editing some chapters for a book I’m writing. Suddenly I was stressing about securing a publishing deal, wondering whether I should get an agent or if I should just go the Amazon self-publishing route, and how do you go about that anyway…? That was pointless time spent worrying. What I need to do is write the book first. Deadlines and content requirements allowing, telling regular clients you are taking a few days off can be an excellent move. Whilst it’s recommendable to ask clients if its a good time and give them notice, this will stop the material your are producing for them from going “stale”, and shows that you care about the standard of work you are offering. This has been my personal experience with writer’s block. In the end, I didn’t analyse it much further, but I did discover that there are some projects I just find extremely boring. So for me, as long as I write for a living for other people, that is the pain I need to embrace and move through. Having said that, the danger of constantly doing something that doesn’t engage or stimulate you can be deeply wounding. Whilst new writers cannot always be too picky, for me it’s been important to hone my field of expertise and focus on more projects that are personally satisfying, as well as the bread-and-butter stuff. The likelihood of producing quality articles increases when I write about something I consider to be of value. Have you experienced writer’s block? How did you react? Are you still stuck? How do you “move through the pain”? Let me know!